The National IRB Reliance Initiative aims to provide "a new model for accelerating translational science" by creating a national web-based tool to enable IRB reliance agreements. https://ncats.nih.gov/pubs/features/irb-reliance. 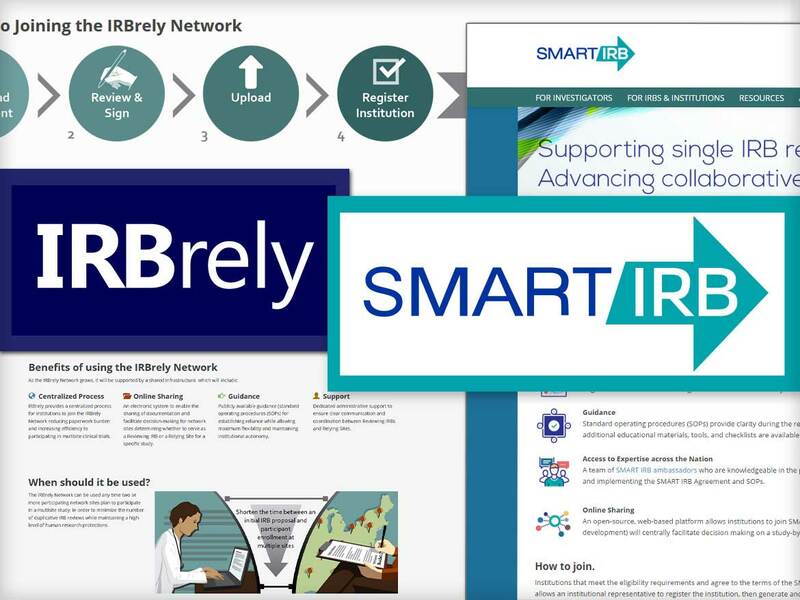 To support the goals of the National IRB Reliance Initiative, a multi-institutional informatics team from Dartmouth, Harvard, and Case Western developed a demonstration web-based platform, IRBrely, aimed at easing common challenges and burdens associated with initiating multisite research. Work on this project led to the creation of SMART IRB, a national web-based system developed by Dartmouth, University of Wisconsin at Madison, and Harvard.